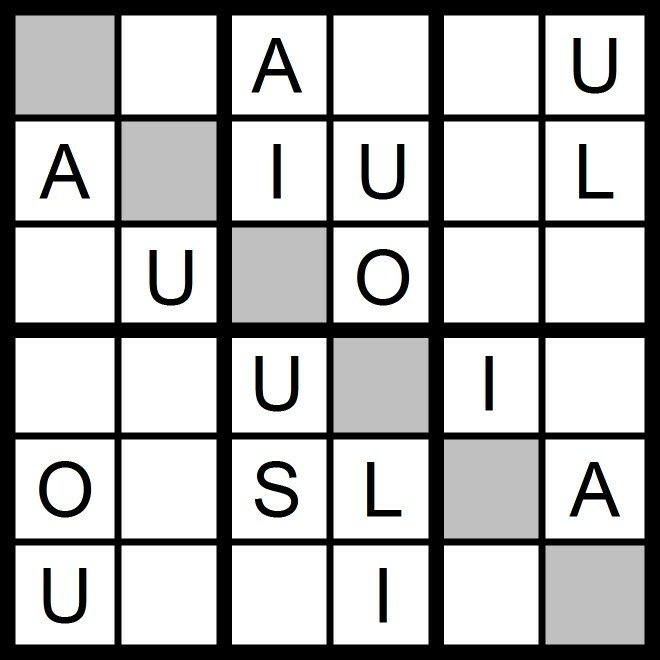 Today's 10x10 AEIOU Word Sudoku puzzle contains the letters in the words GUINEA FOWL. 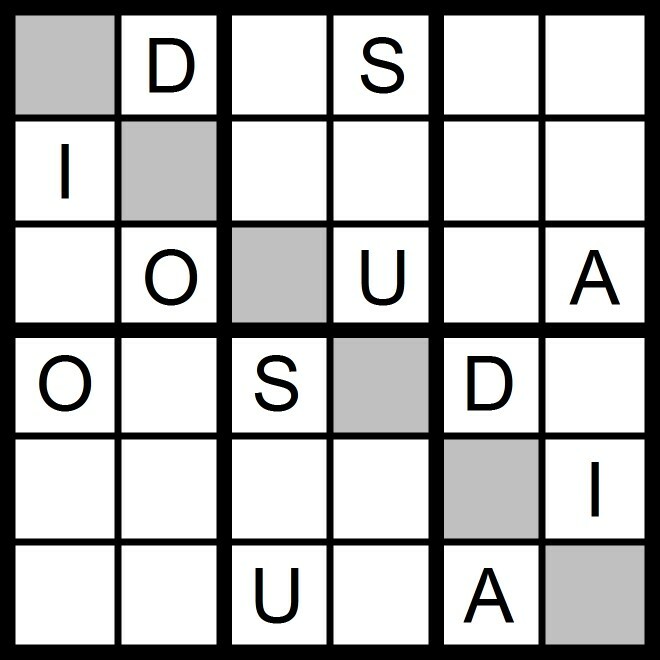 Yesterday's 9x9 AEIOU Hidden Word Sudoku puzzle was based on the letters AEIOU + BNST (ISOBUTANE). 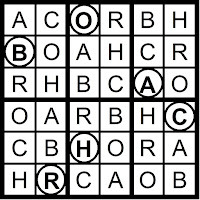 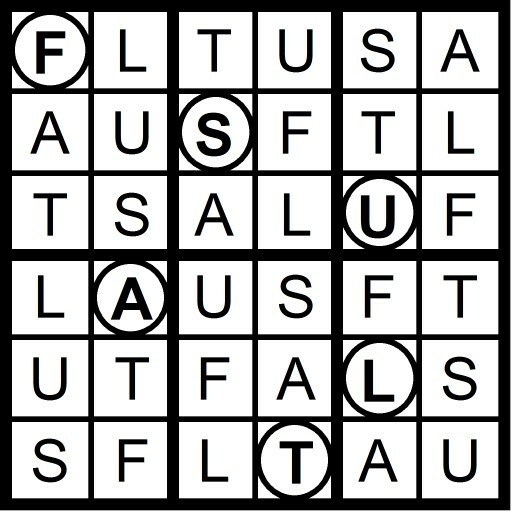 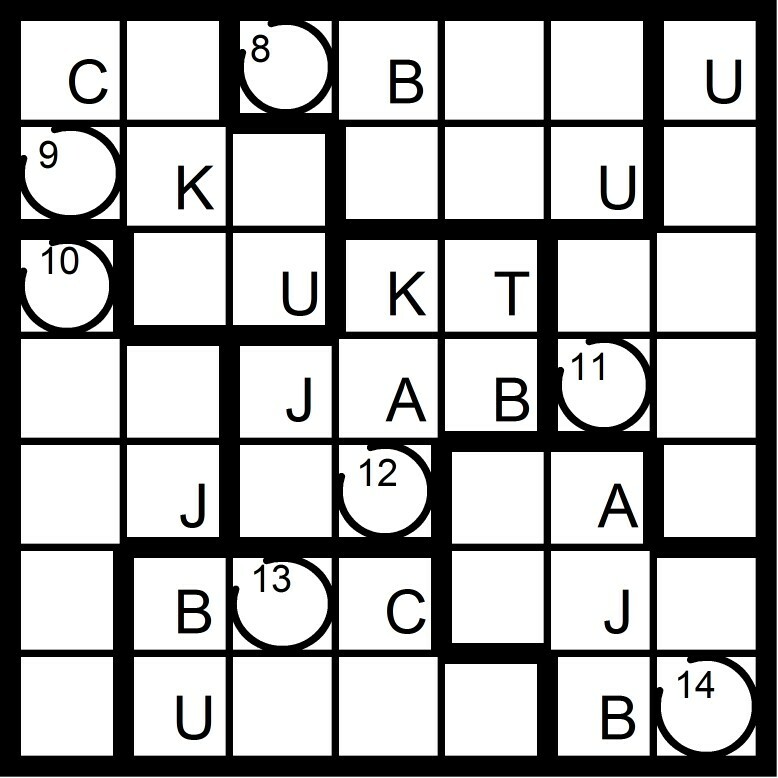 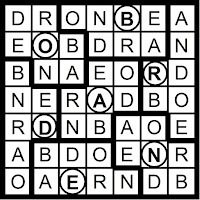 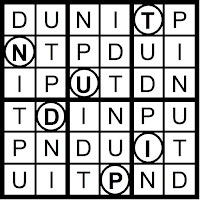 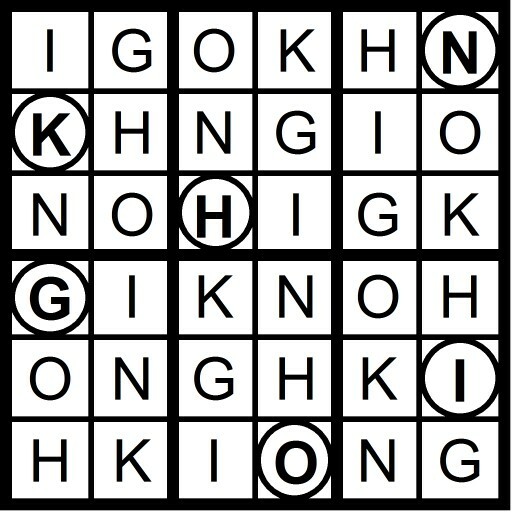 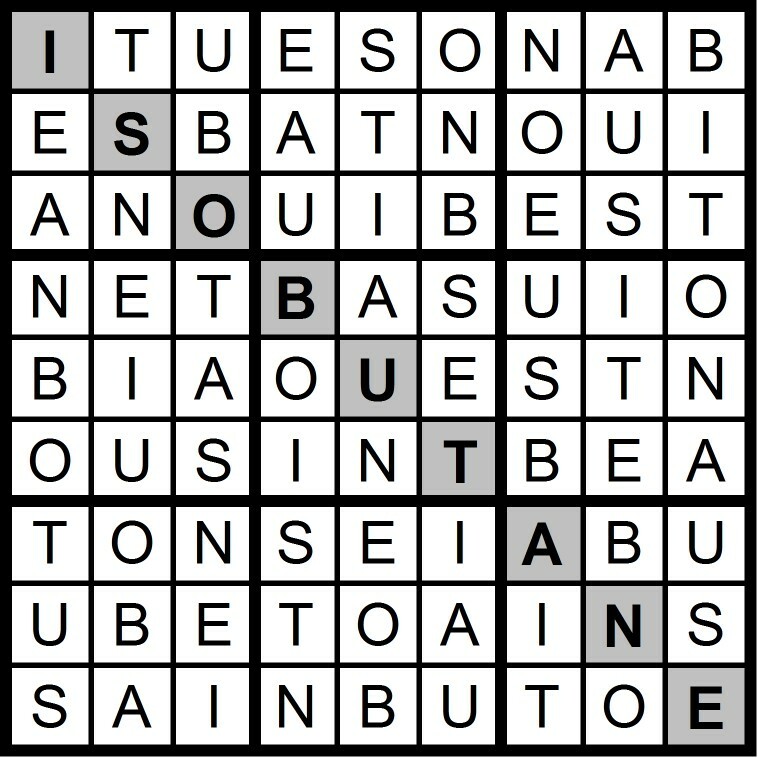 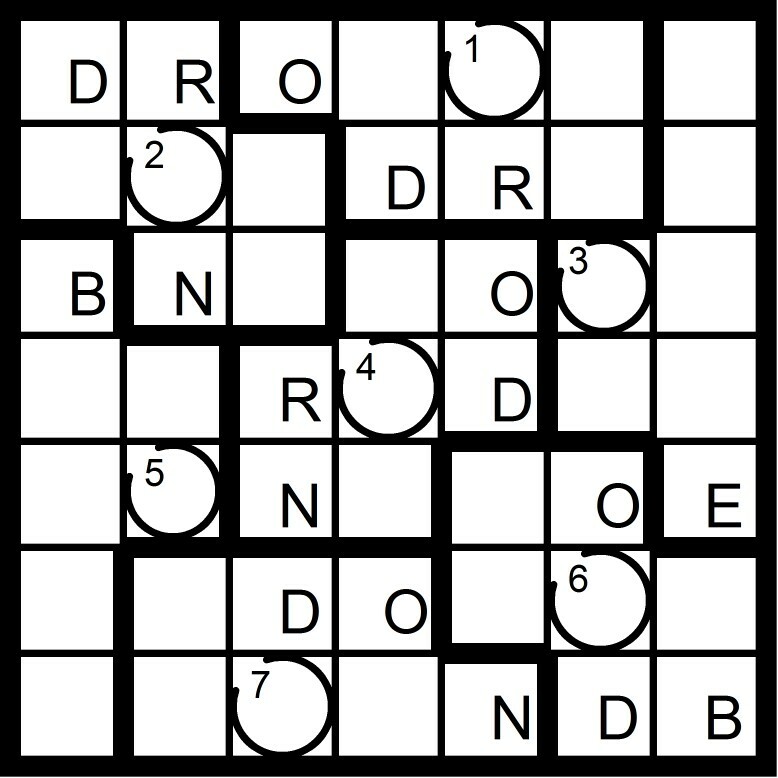 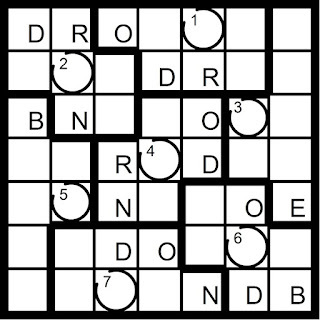 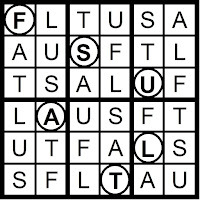 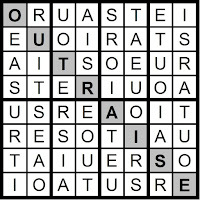 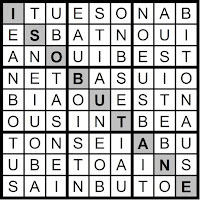 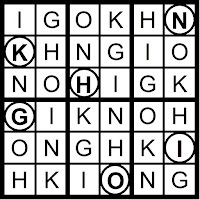 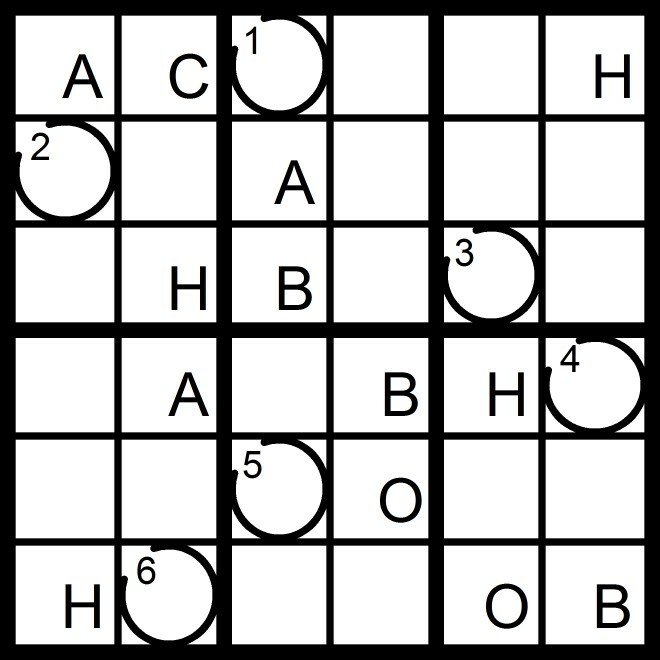 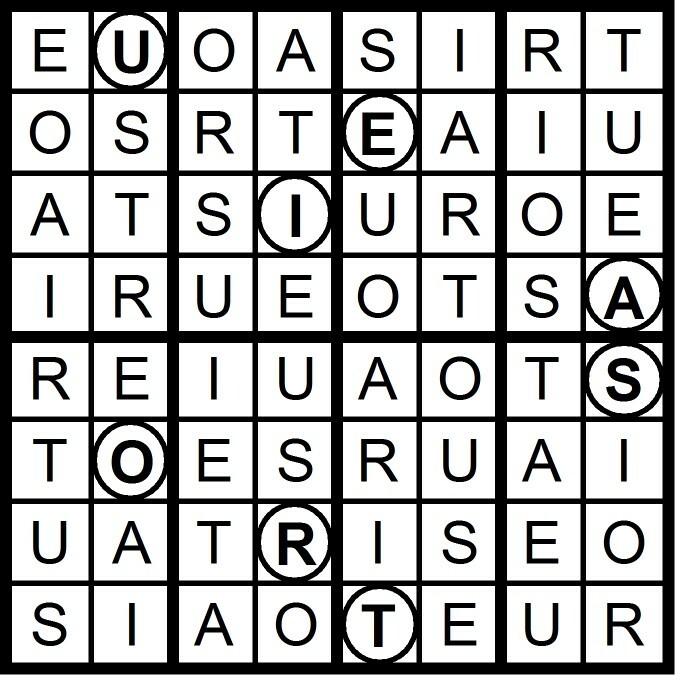 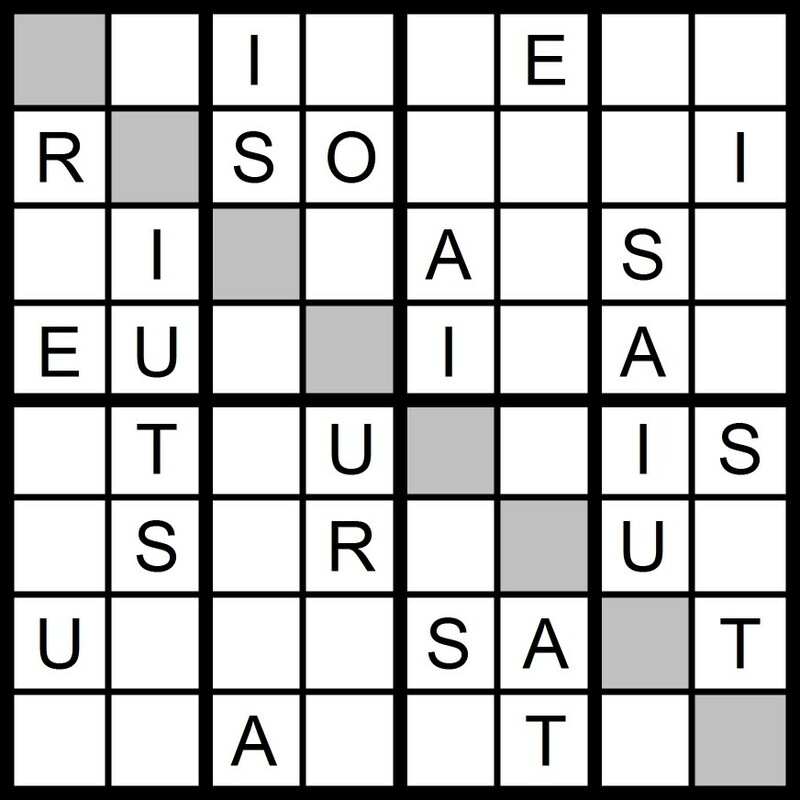 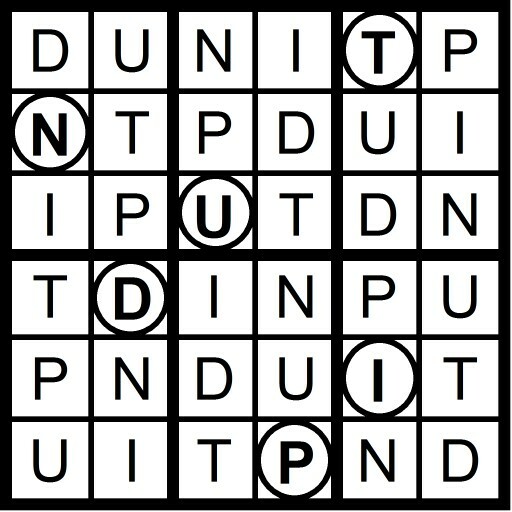 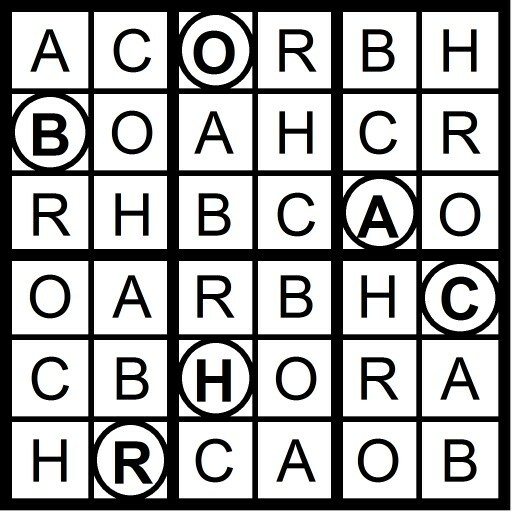 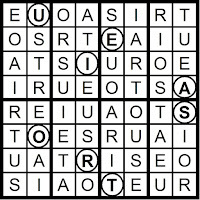 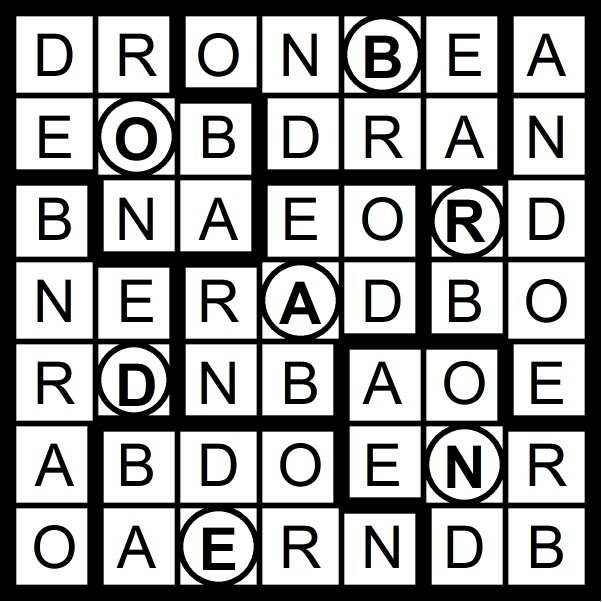 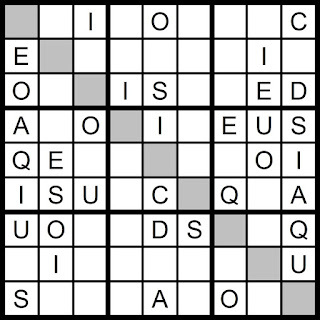 Today's 9x9 AEIOU Hidden Word Sudoku puzzle contains the letters AEIOU + BNST. 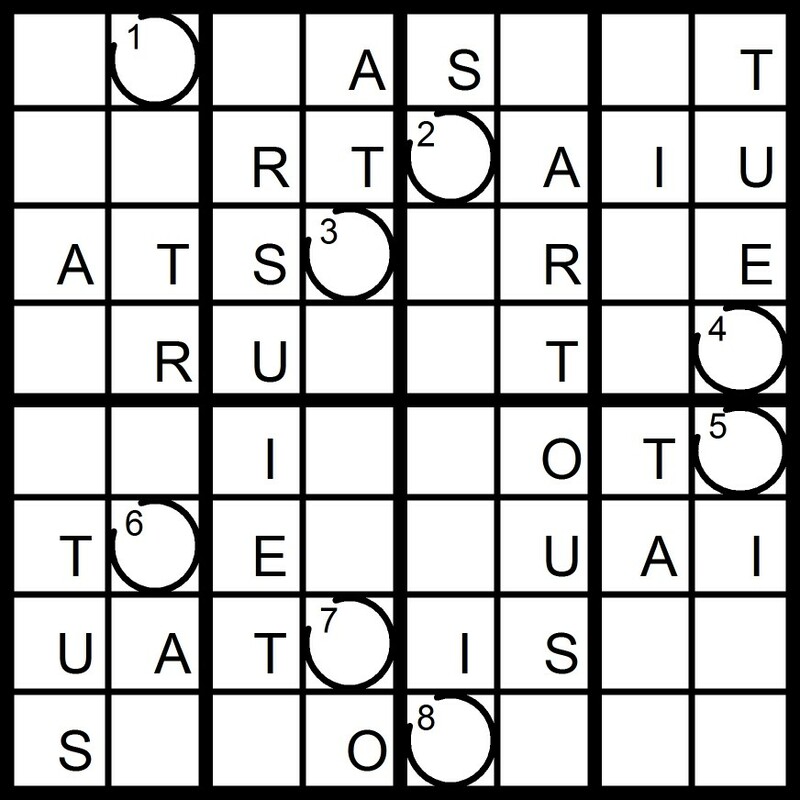 Yesterday's 8x8 AEIOU Word Sudoku puzzles were based on the letters AEIOU + RST. 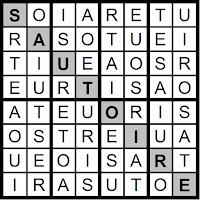 (OUTRAISE; SAUTOIRE; SETARIOUS and ROUSSEAUIST). 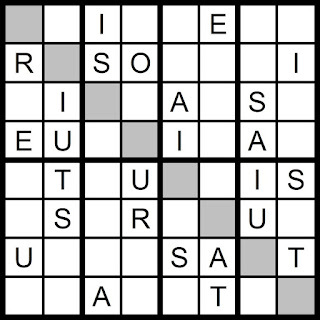 Today's 8x8 AEIOU Word Sudoku puzzles are based on the letters AEIOU + RST. 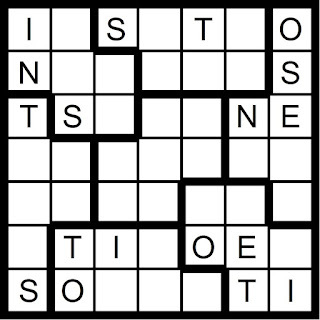 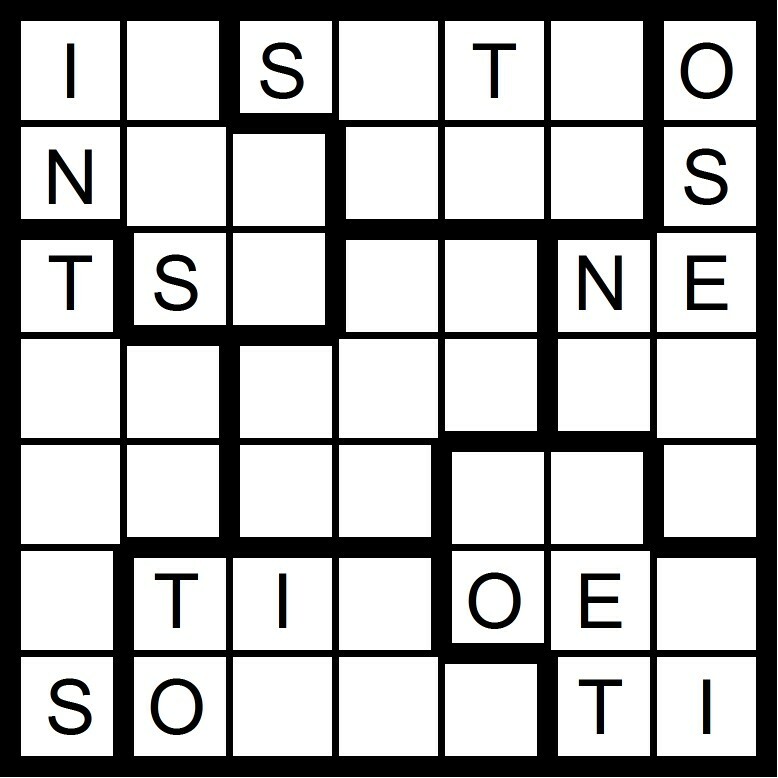 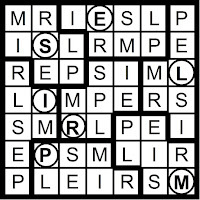 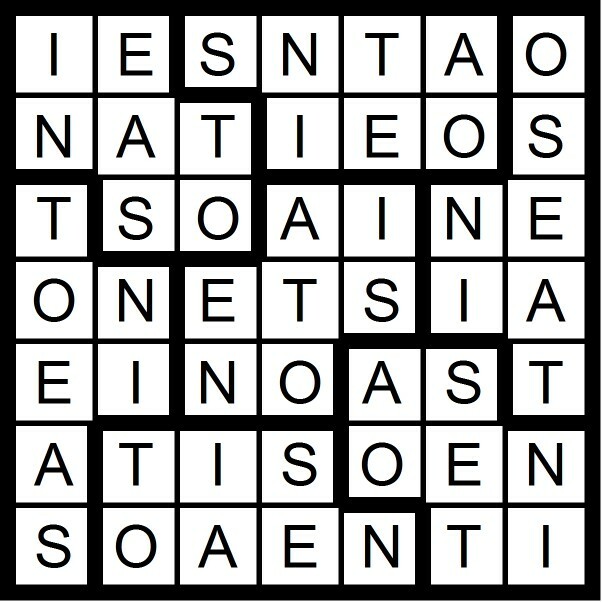 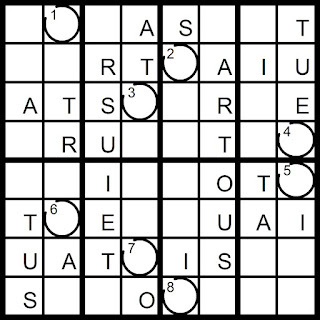 Today's 7x7 Word Sudoku puzzle contains the letters in the word ESTONIA. 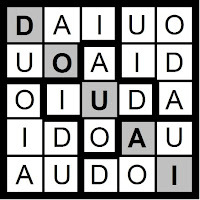 Yesterday's 6x6 Hidden Word Sudoku puzzle was based on the letters AEIOU -E + DS (AUDIOS). 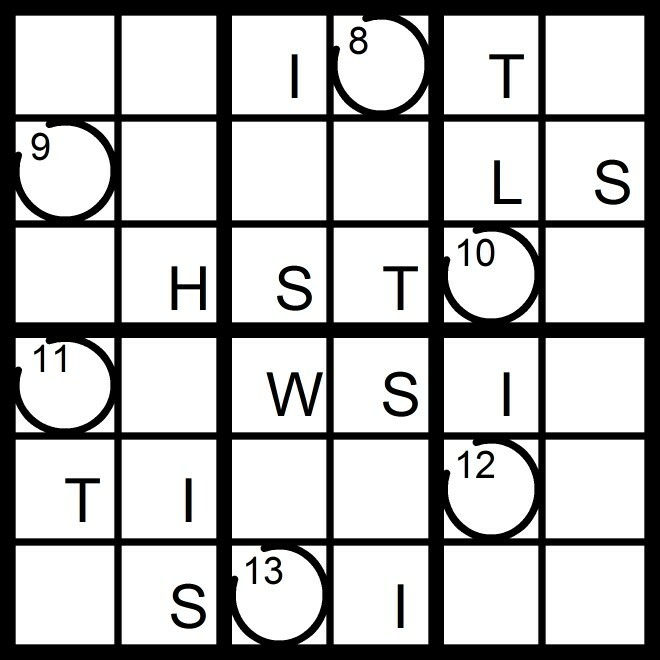 Tom is away this weekend. 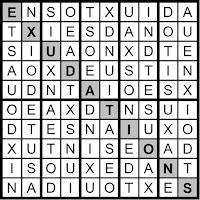 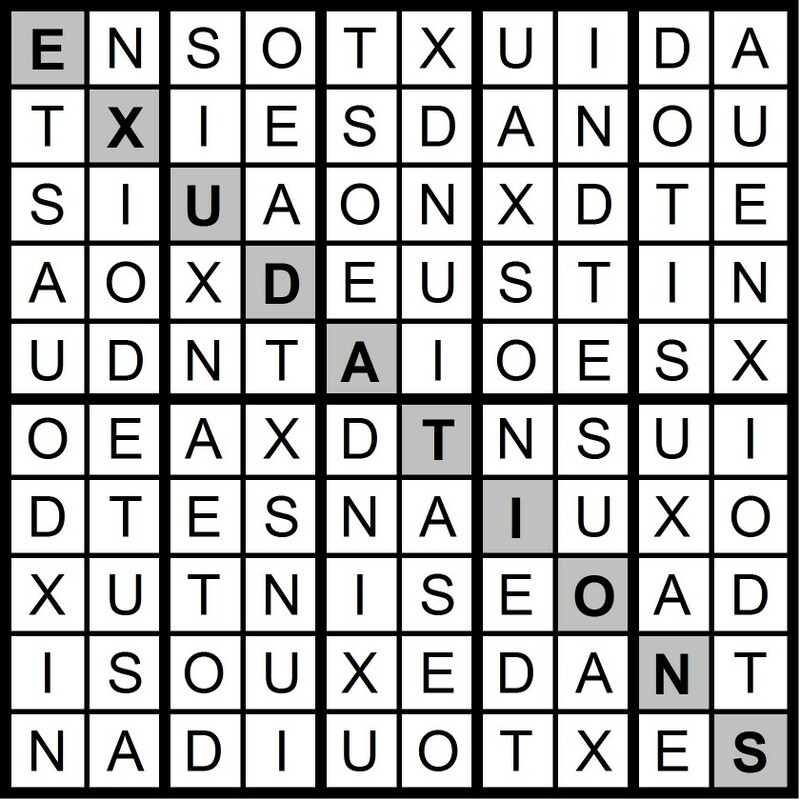 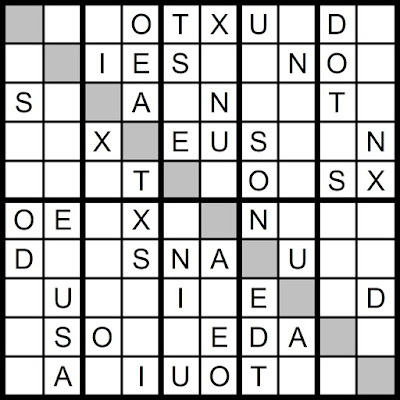 Today's 10x10 AEIOU Hidden Word Sudoku puzzle contains the letters AEIOU + DNSTX. 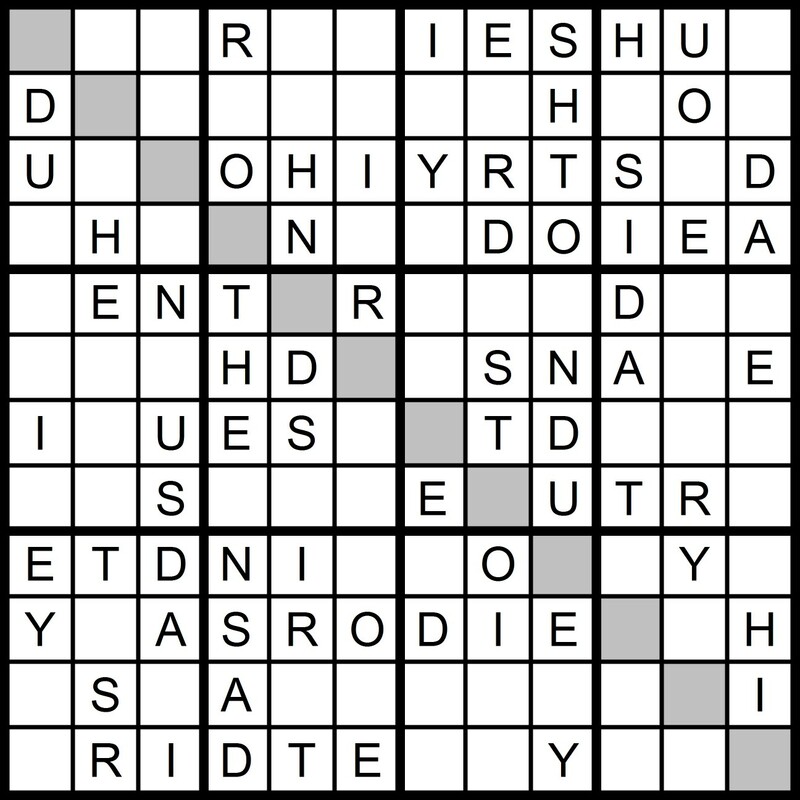 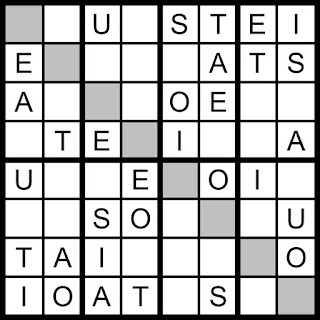 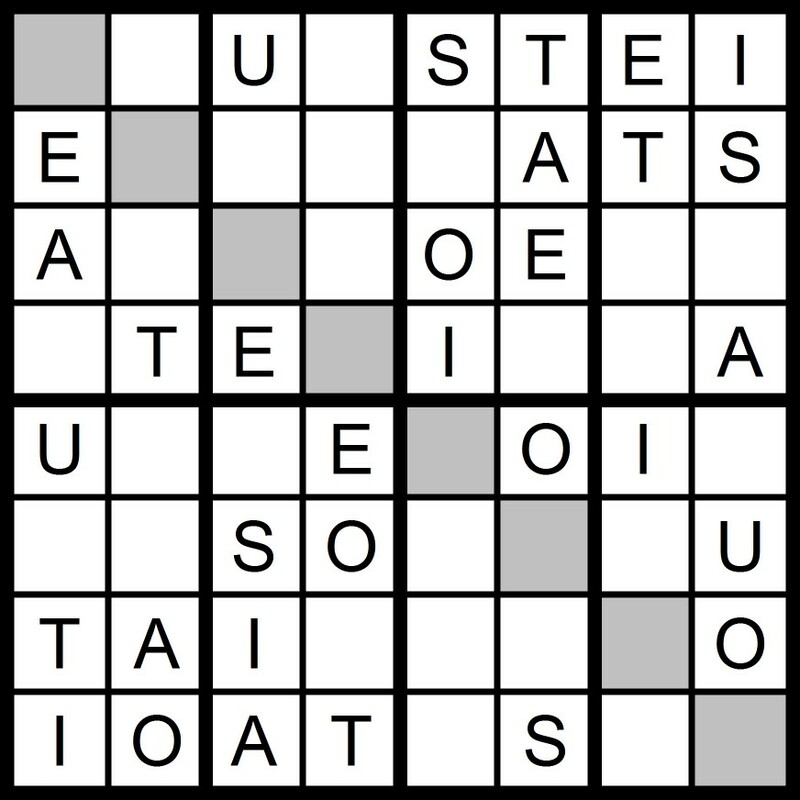 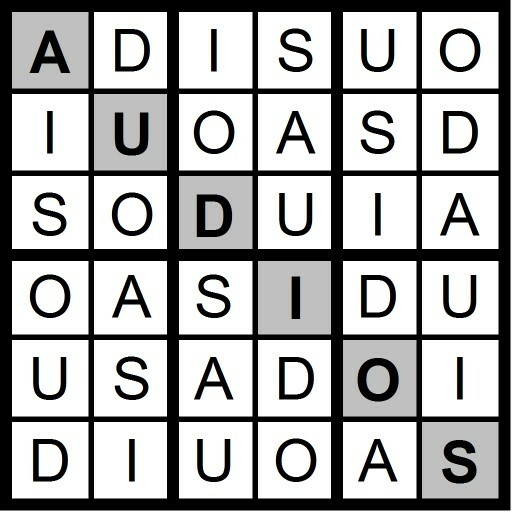 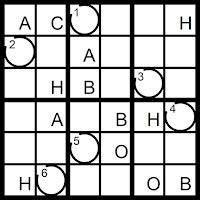 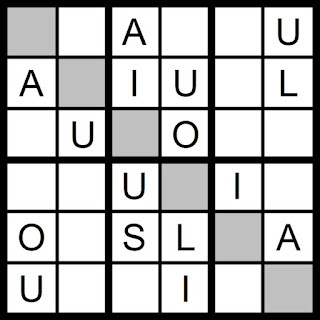 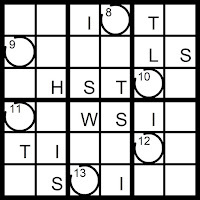 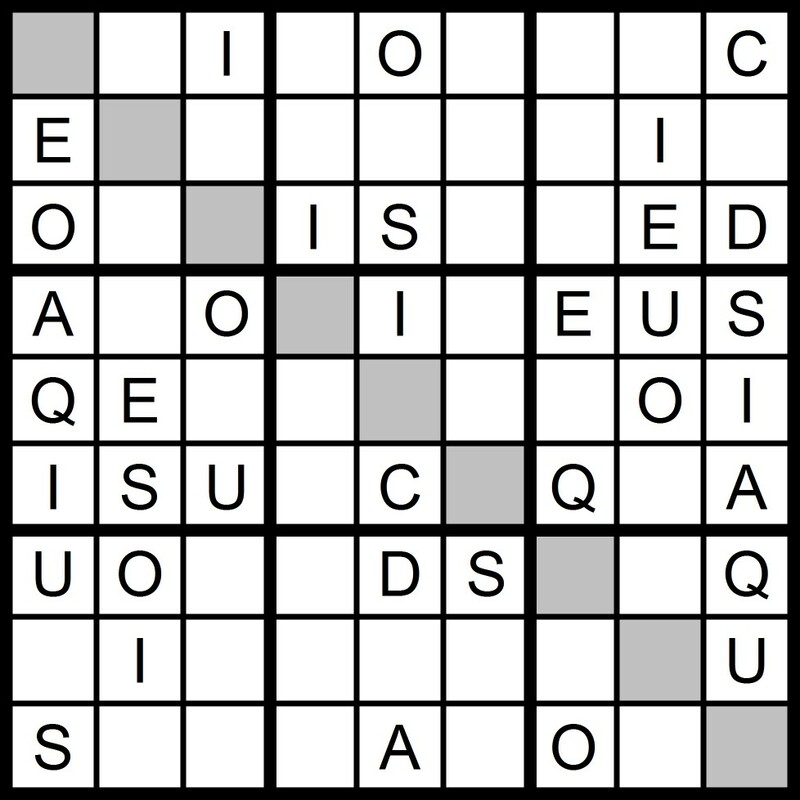 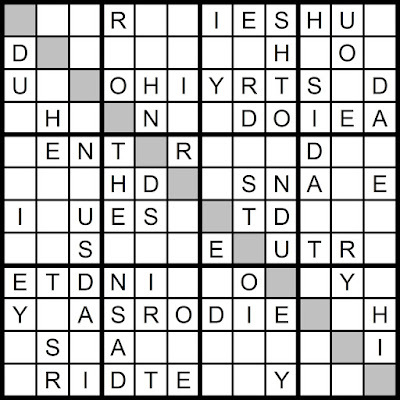 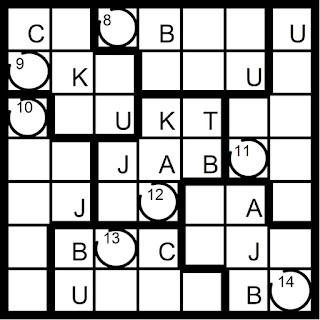 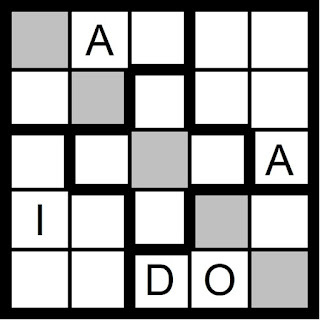 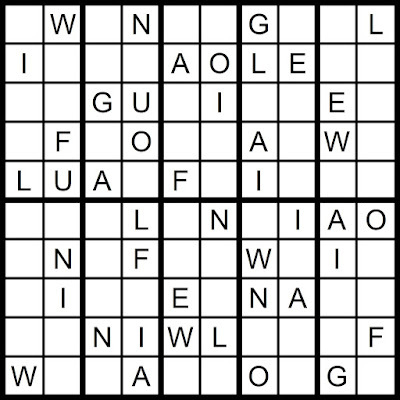 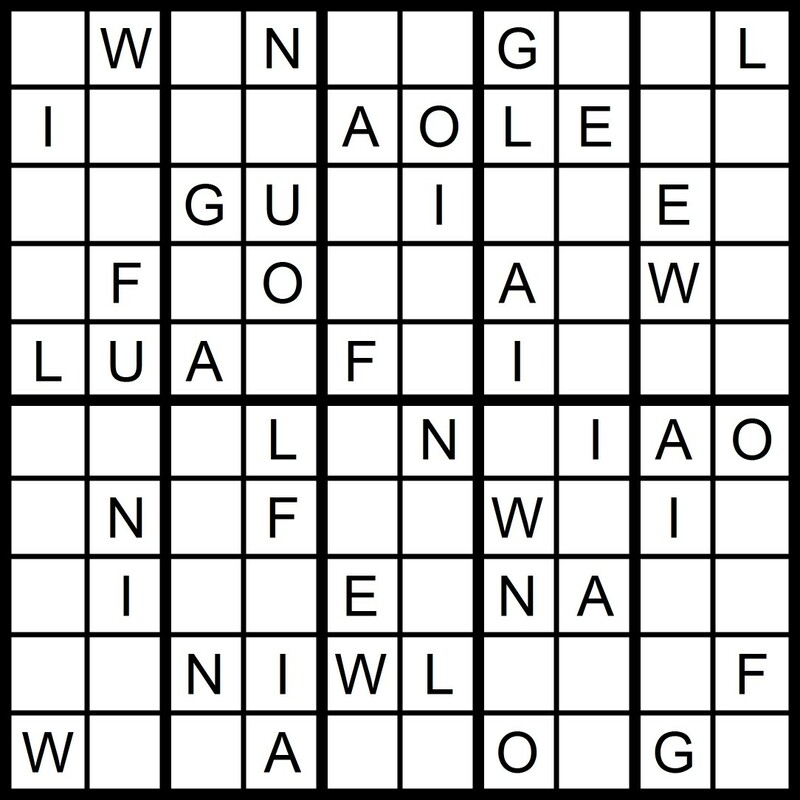 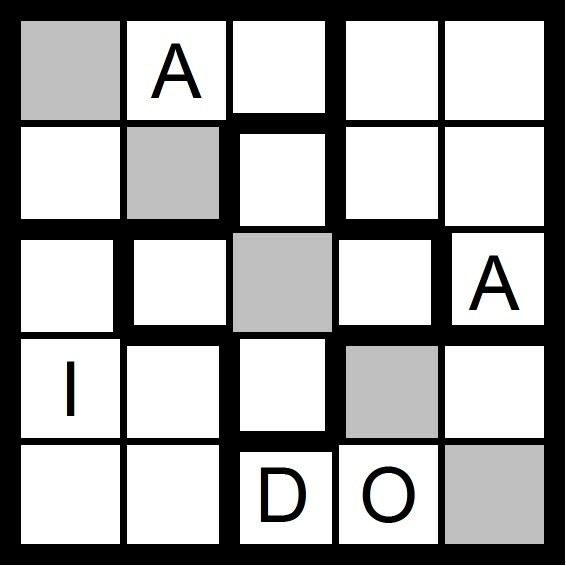 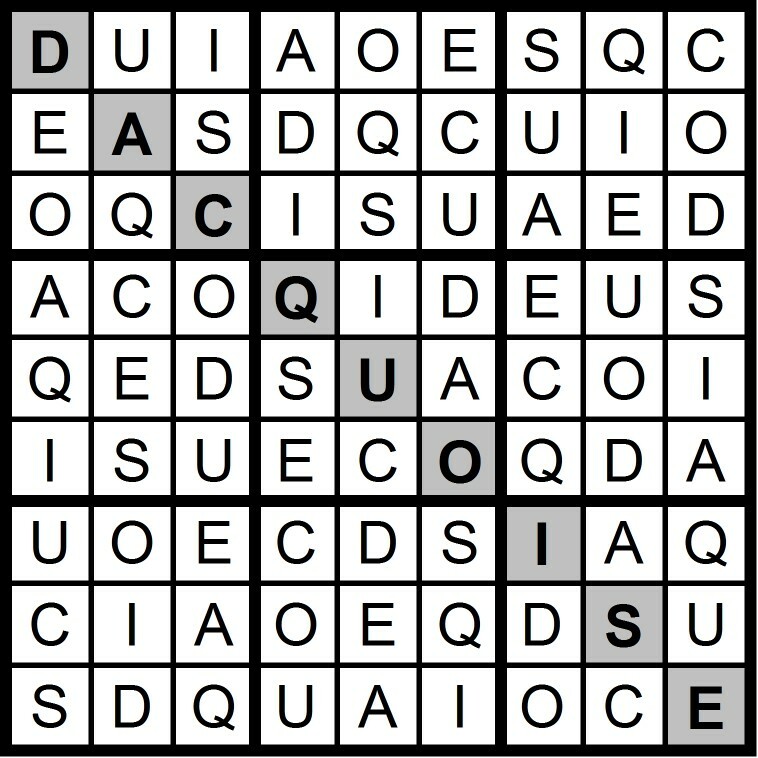 Today's 9x9 AEIOU Hidden Word Sudoku puzzle contains the letters AEIOU + CDQS. 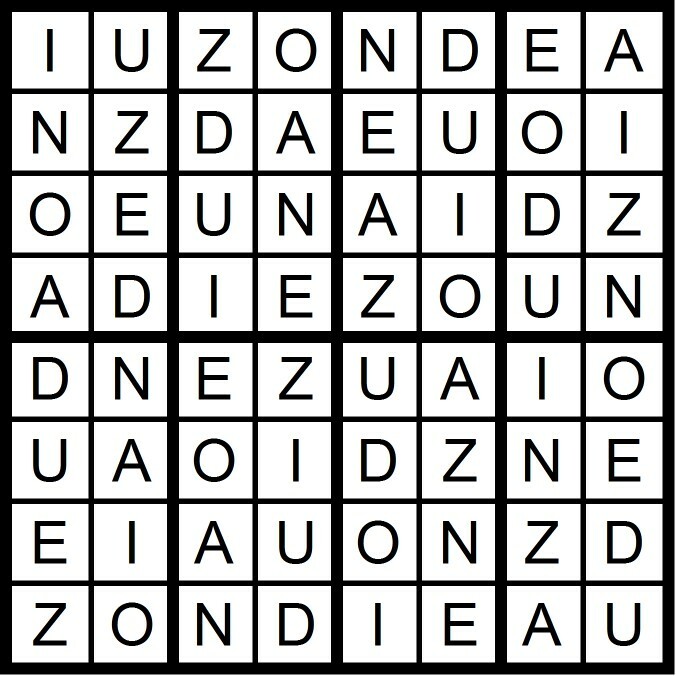 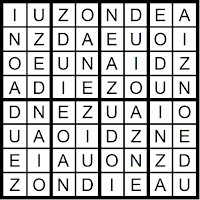 Yesterday's 8x8 AEIOU Word Sudoku puzzle was based on the in the word DOUZAINE. 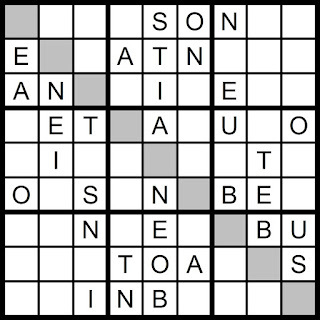 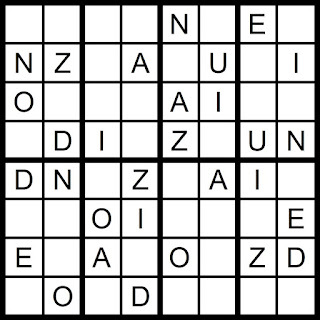 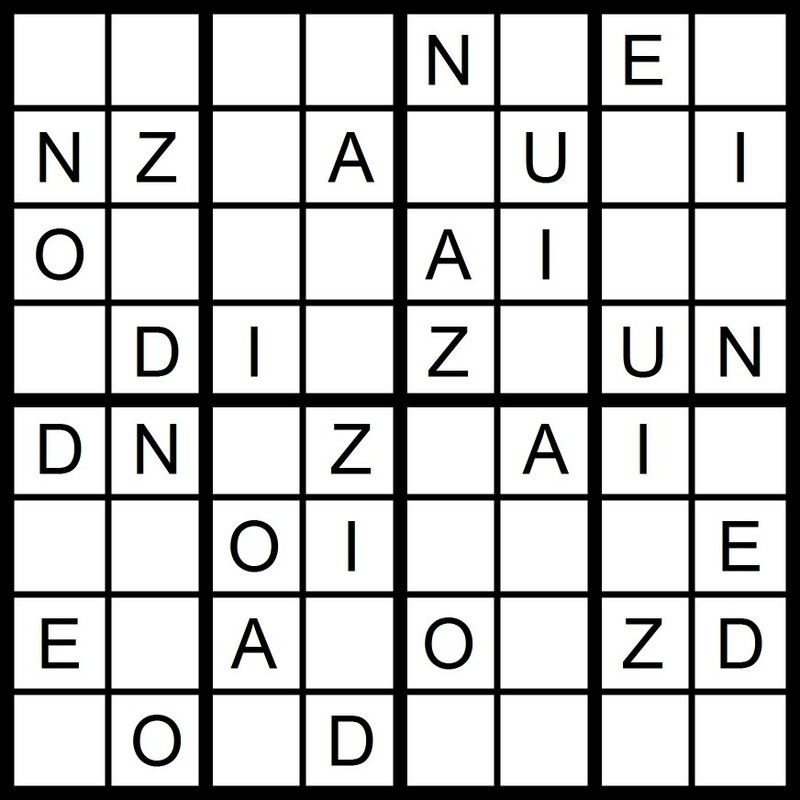 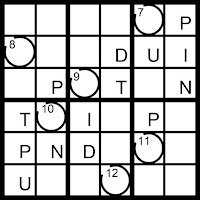 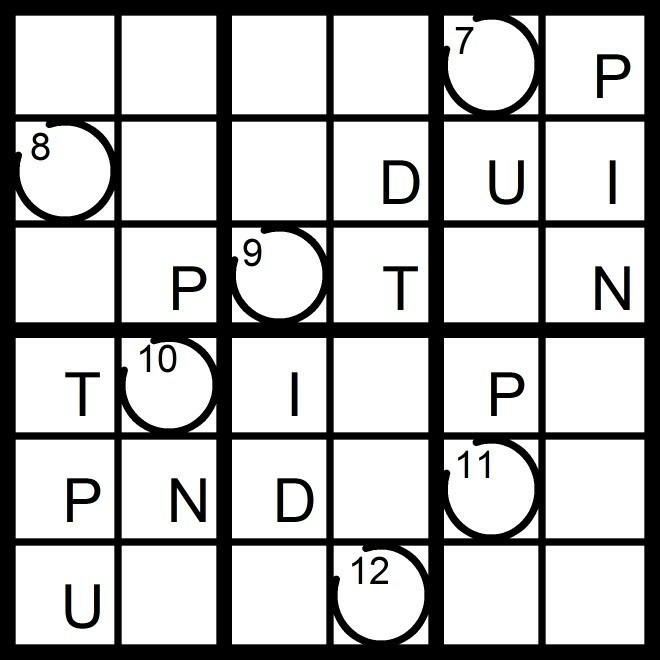 Today's 8x8 AEIOU Word Sudoku puzzle contains the letters in the word DOUZAINE. 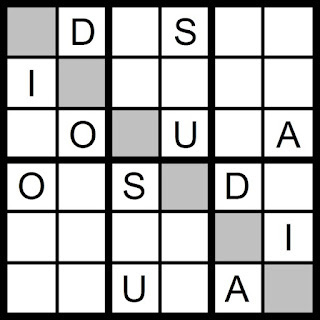 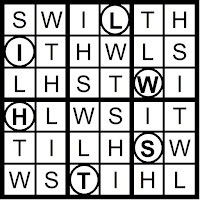 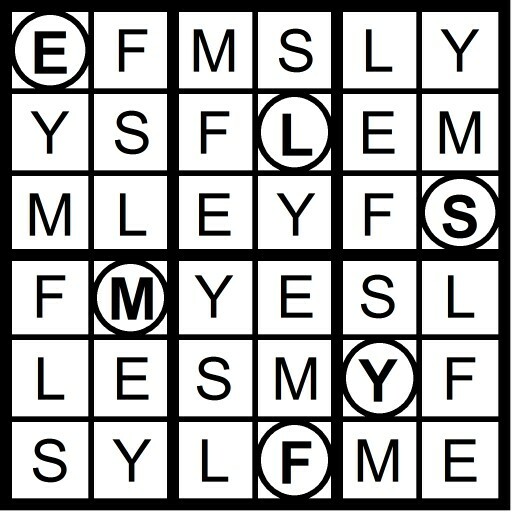 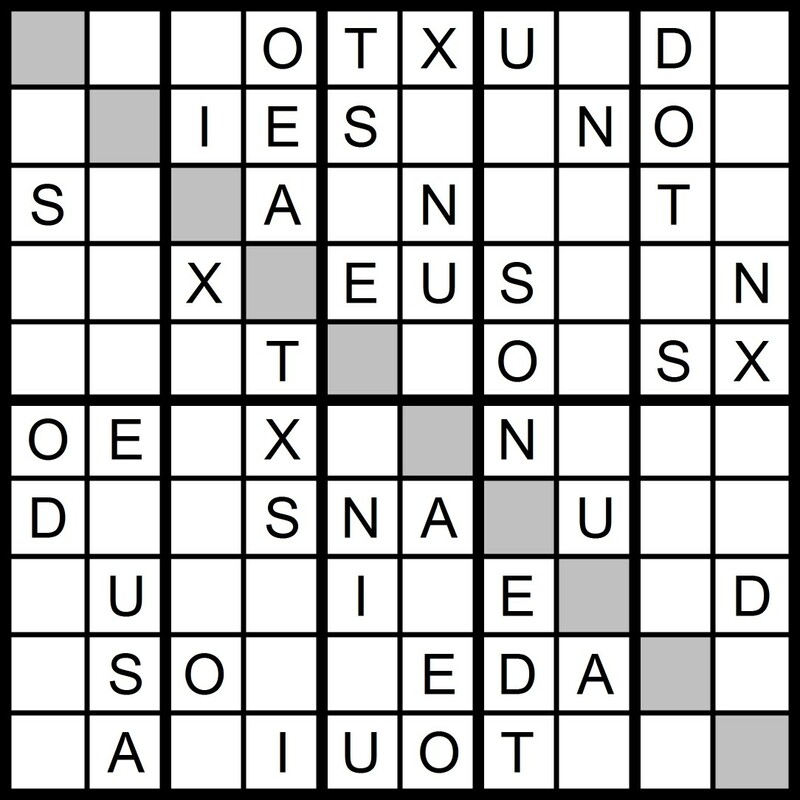 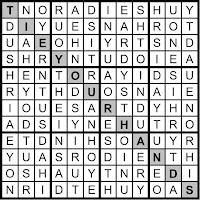 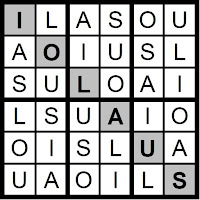 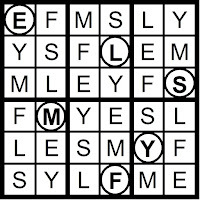 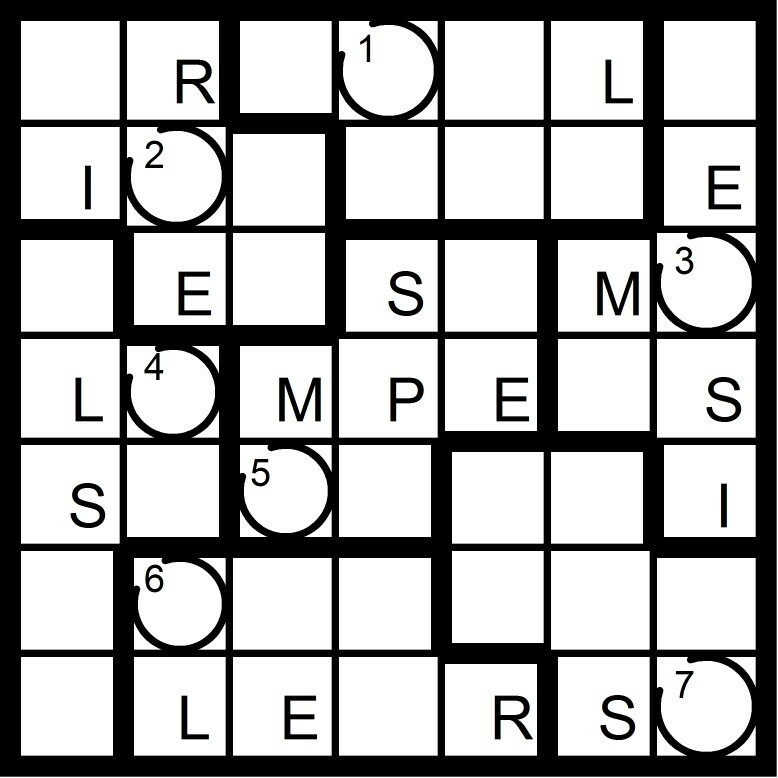 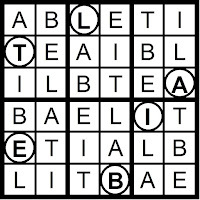 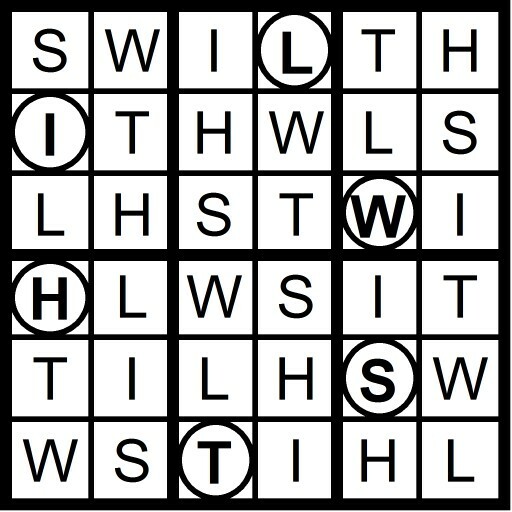 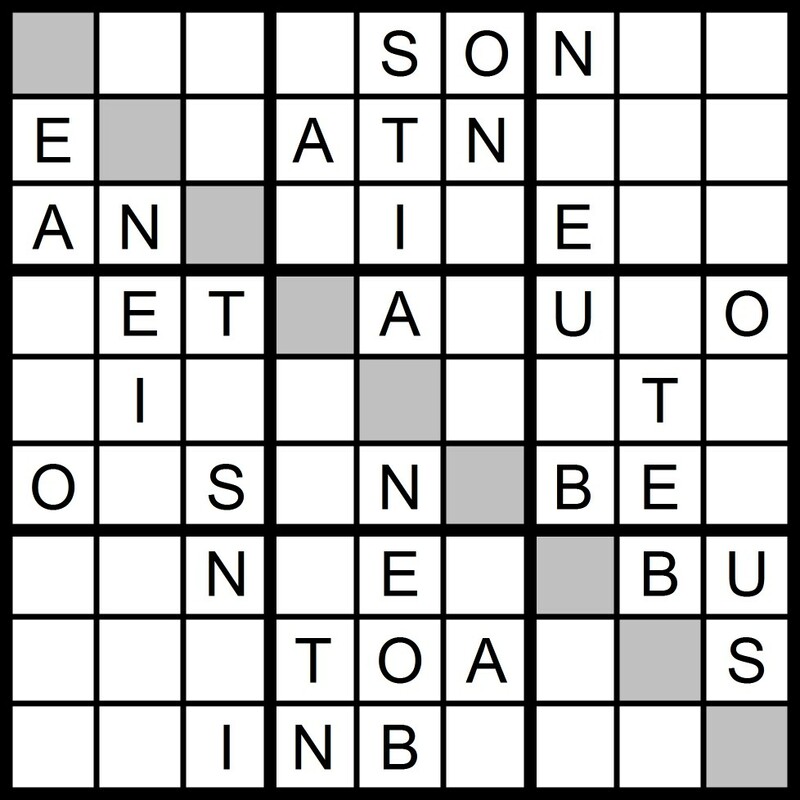 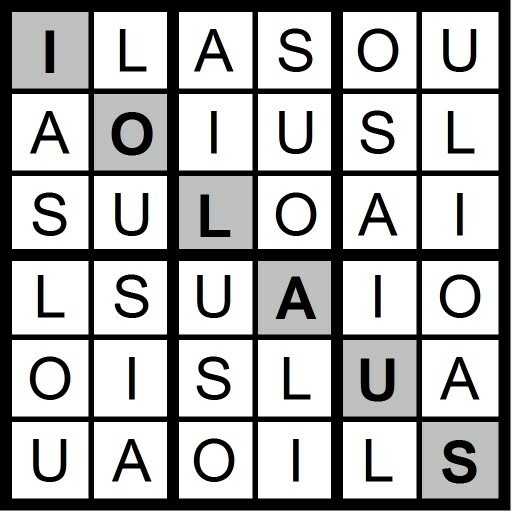 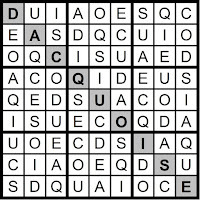 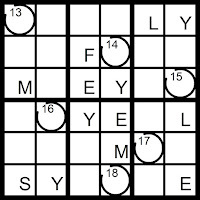 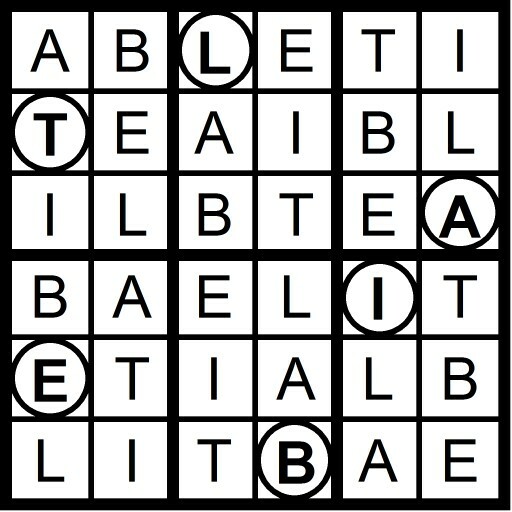 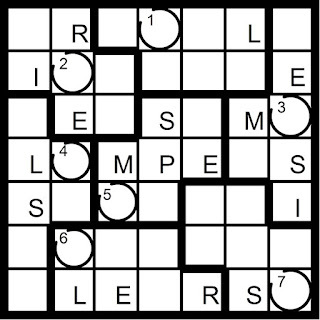 Today's 5x5 Hidden Word Sudoku puzzle contains the letters AEIOU -E + D.
Yesterday's 6x6 Hidden Word Sudoku puzzle was based on the letters AEIOU -E + LS (IOLAUS). 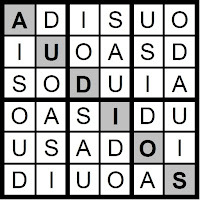 Yesterday’s Sunday Challenge AEIOU 12x12 Hidden Word Sudoku puzzle was based on the letters in the anagram SHADY ROUTINE (TIE YOUR HANDS). 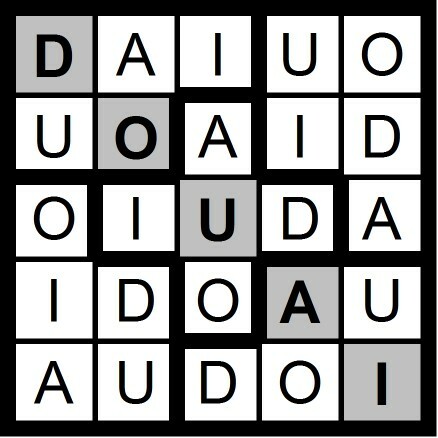 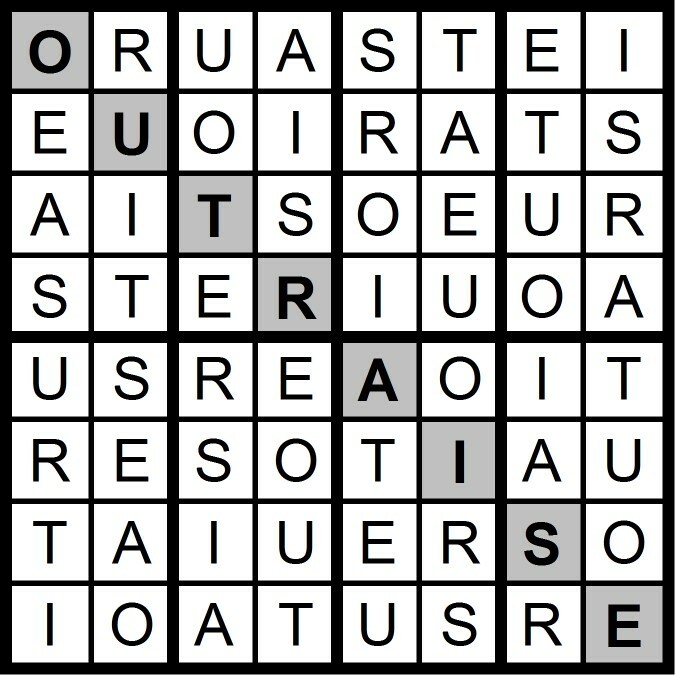 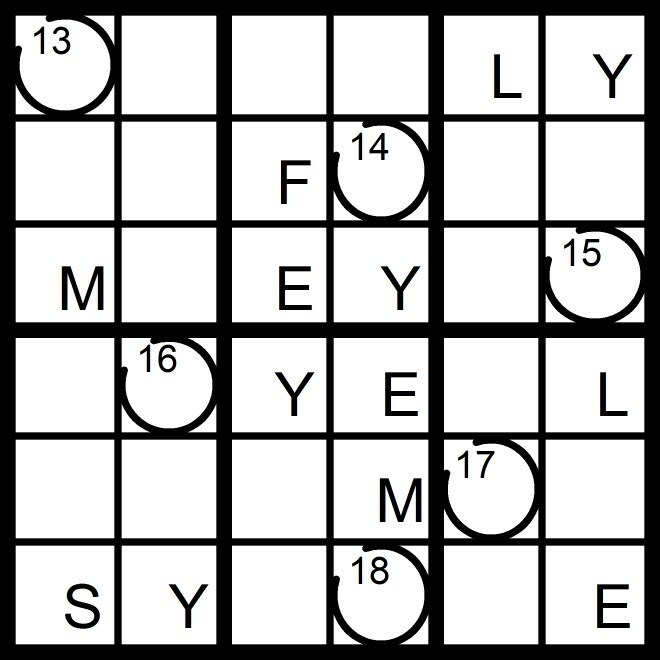 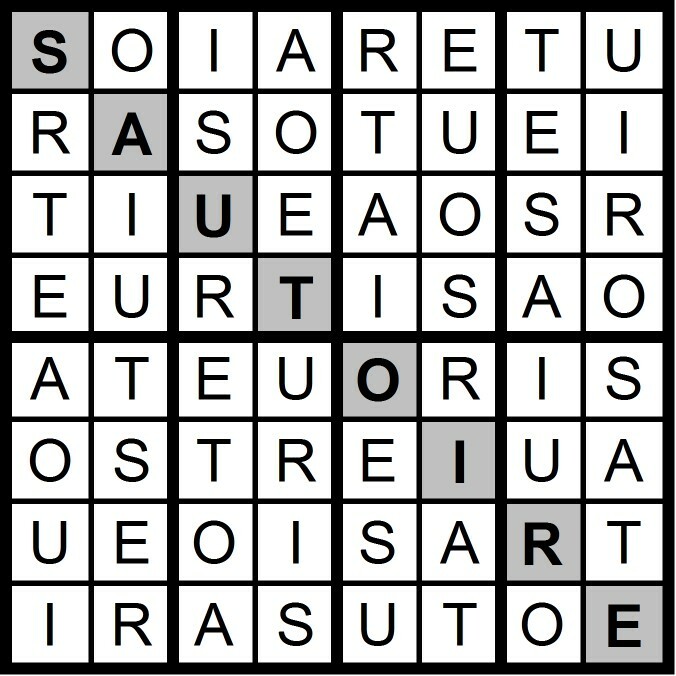 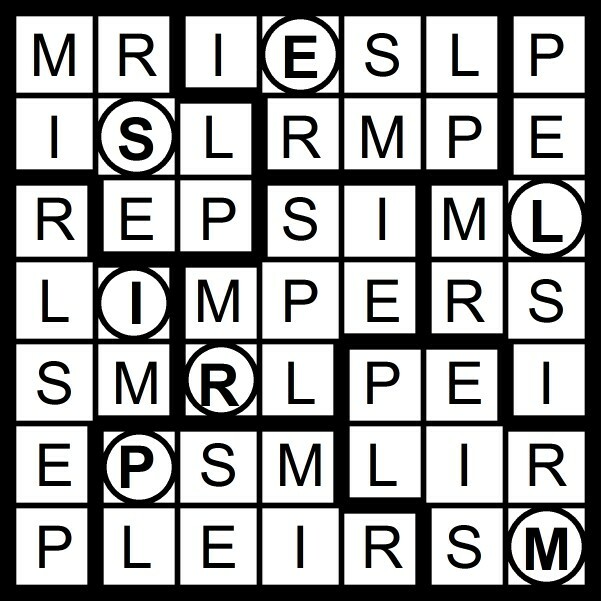 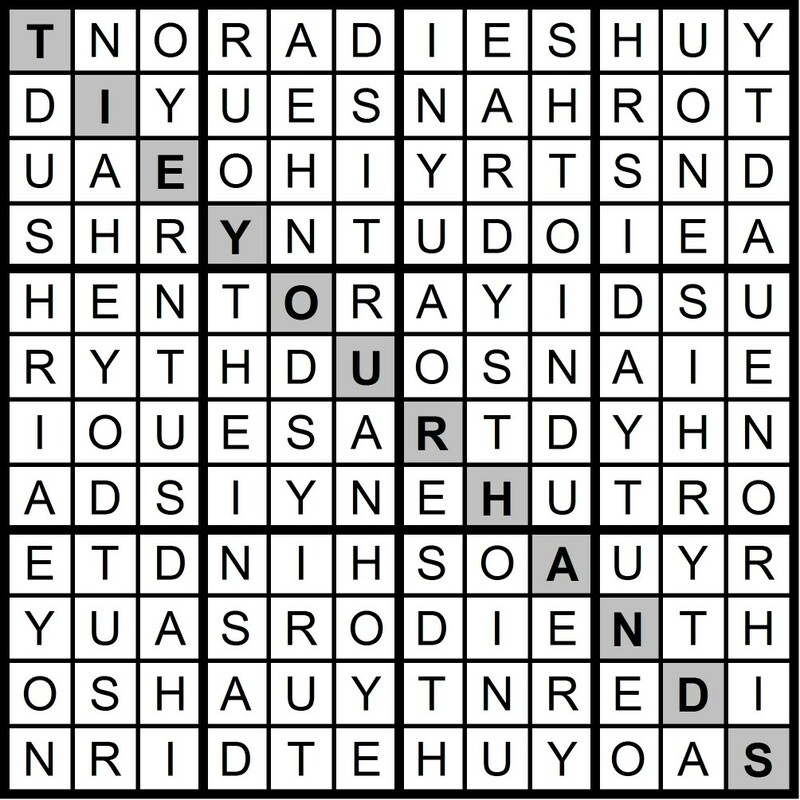 Today’s 12x12 AEIOU Hidden Word Sudoku puzzle contains the letters in the anagram SHADY ROUTINE.